Since Facebook’s acquisition in 2012, Instagram has come a long way. From then to now we can see an undeniable change on this platform with it reaching over one billion active users from only 50 million active users every month. What started off as a humble photo sharing application stands today as not only one of the fastest growing social media platforms but also a channel where consumers and e-commerce brands can interact. If you are somebody who runs an e-commerce business, then you must be well aware of the intrinsic role social media plays in shopping online. Instagram has transformed itself from a casual social media platform to a large-scale sales channel which drives insane revenues for e-commerce brands. A social media post or an advertisement has the ability to drive traffic and help a business match consumers with their products and services, moving them through the sales funnel more efficiently. Instagram’s popularity as an e-commerce platform is skyrocketing. One can even argue and say that the way we shop has forever been changed by Instagram – scrolling through your feed is the new window shopping. Instagram is constantly evolving, and their new features give millions of brands and businesses across the globe an opportunity to showcase their products on their account, gain customers, send them to their website directly to make a purchase and gather feedback. Instagram is arguably one of the foremost platforms that e-commerce depends on, and it becomes essential that brands understand and adapt their marketing strategies to keep up with Instagram trends. One must understand the relationship between Instagram and e-commerce to compete in today’s online market. It is much easier said than done to attract customers to your site from many different social media channels because of the constant change in marketing trends and technology. Influencer marketing is so much more than just big celebrities posing along with your product. Influencers can come from a huge variety of industries and backgrounds having a large range of followers. Gone are the days when one needs an influencer with a million or more followers, studies have shown that even an influencer with 1000 followers can help engagement peak. A micro influencer is one that has followers in the range of 1,000 to 10,000. Launching a campaign along with such an influencer can be a lot more effective for your brand and help generate a greater return on your investment. Although collaborating with mega influencers has shown better engagement levels, connecting with micro influencers has shown to increase sales results. Micro influencers do have a much smaller following, but more often than not have a better relationship with their followers and are likely to be more devoted to their niche. A micro influencer can even be an ardent follower! Look into your own brand’s current following, this can bring attention to enthusiastic and passionate supporters who would be more than willing to campaign for your brand. A trend that is growing on Instagram is sharing user-generated content or regramming; more than 27% of businesses and brands on Instagram have a strategy in place for such kind of content. Brands can connect with smaller groups more successfully by utilizing customer advocacy. Being mentioned by a brand or having your content shared by a brand is an exciting and fun experience for people, and many people are twice more likely to share user-generated content with family and friends. The best way to create excitement around your brand and improve engagement is through influencer marketing and user-generated content. It not only fuels conversations but also builds a close-knit community on a social network. Consumers are more likely to make a purchase when they feel more personally connected and attached to a brand. Driving business growth in a fun and unique manner can be done by incorporating influencer marketing and user-generated content in your strategy! Advertising on Instagram isn’t a surprisingly new marketing tactic, but if it is something your brand or business has not explored or not executed efficiently, then it is something one must consider. 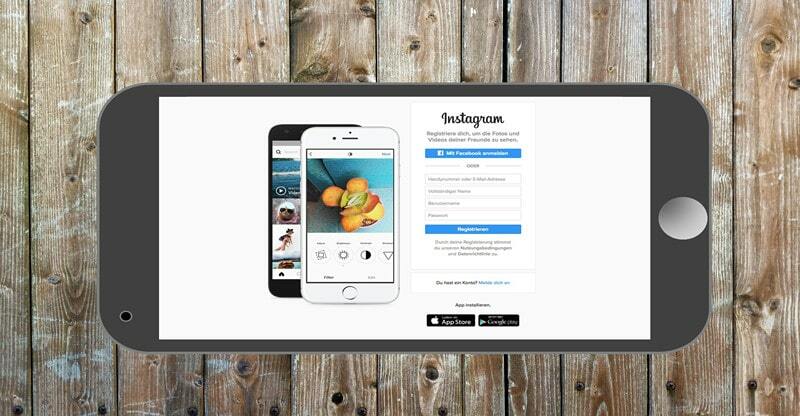 There are five different formats through which one can advertise on Instagram – Photos, Carousels, Videos, Story and Slideshow ads. They are so seamlessly integrated into the interface that all users are sure to have a smooth experience. Advertisements on Instagram offer a substantial advantage to e-commerce sellers because it enables the business to link their website strategically in their posts. A shop now button is conveniently located at the bottom of every advertisement, which when clicked on redirects them to either a product or the home page of the site. More than 75% of Instagram users follow through by acting and visiting the website after viewing an advertisement post. Advertisements on Instagram also provide an easy solution to targeted campaigns. When one creates a new advertisement on Instagram, it allows you to tailor it your target audience based on age, gender, location, and connection. Taking the time out to carefully select your target audience will help in saving time, energy and money by reaching your target consumer more efficiently. Opting to target as many people you can is, in fact, an inefficient strategy because it is highly unlikely that everybody will be interested in what your brand has to offer. Trial and error are the best way to understand and figure out your target audience. Over the past 12 months, if we look at all of Instagram’s largest feature releases none of them are as noteworthy as shoppable media. The launch of this product will forever change the way e-commerce brands utilize Instagram going forward. It is perhaps one of the most effective ways e-commerce sites can drive and increase online sales. This feature basically allows brands to tag products within their posts. A user can now click thrice and go from the post directly to the ‘add to cart’ section on the brand’s website. When they initially click on it, they will be able to see the name of the product as well as the price. If a user decides they would like to click on the tag, they will be taken to a page holding more detailed information, product specifications, similar items, and the brand’s other shoppable posts. Instagram describes this new feature as a more actionable and less transactional method through which consumers, and businesses can connect. It provides a virtual storefront for customers. This feature helps brands discern the potential of their users by enacting a call to action on every post. The online shopping experience has never been so simple with access to product and price details at your fingertips! It is very clear that Instagram is attempting to build tools that will allow users to purchase products seamlessly and directly from their feed. If a brand or a business has an established presence already on Instagram, then they certainly have a head start on their competitors. Looking at big brands like Nordstrom and Gap, we can see that they have begun to use shoppable media on their feeds. Once smaller brands adapt to these trends and use similar strategies, they will be sure to have long term success. For businesses and brands on Instagram wanting to drive traffic to their website, they had to use the link in the bio as that was the only one that was allowed. Shoppable media has revolutionized that by creating a game changer for brands. Keep in mind that your feed should not be entirely saturated with shoppable posts. The perfect percentage of shoppable posts on your feed should be somewhere around 20 to 30 percent. Any more and you will lose sight of what motivated people to follow your brand in the first place. As a brand on Instagram, it is imperative that you experiment with great content and see what resonates with your audience. Create some superbly creative Instagram stories, partner up with micro influencers, dip your feet into original video content and why not even try producing some vertical videos for IGTV? A brand that knows how to use and experiment with features on Instagram is sure to receive positive feedback and in turn grow their business. As an e-commerce site on Instagram, your strategy is key, and you must be sure to be consistent with it, constantly evaluate it and update it whenever necessary. Change is the only constant when it comes to technology and trends, and they make a huge impact on the social media platform sphere. Just because a strategy is working for your business today does not mean that it will be so in one month or even six months. Your e-commerce marketing strategy must be dynamic and be able to quickly respond to the trend. Long term success is guaranteed to those who can establish a plan for the future and shape trends to achieve their goals.